Totalcar Magazine - Features - Merry Christmas everyone! Transporting the Christmas tree is always a challenge for everyone. Most people put it in the trunk or use the roofrack. But we at Totalcarmagazine like to do things our own way. 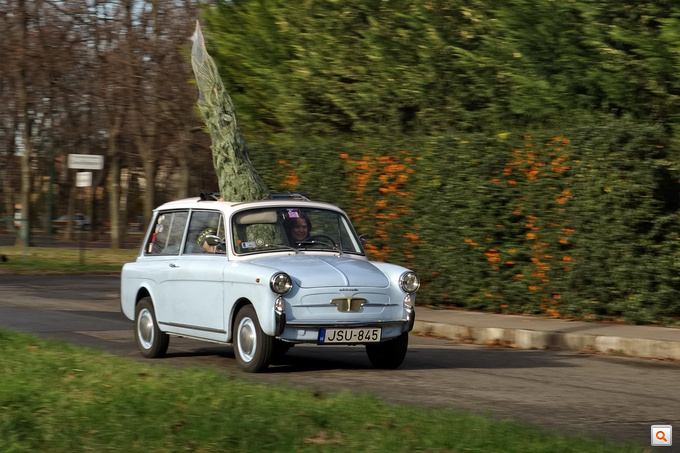 Zsolt crammed a 2.5 metre Christmas tree in his Autobianchi Bianchina Panoramica already carrying a family of four. Luckily the Bianchina has a ragtop, so it was left to poke out the cars roof. If the Bianchina could make it into the living room, they might as well use it as a tree stand. I used my veteran police bike to transport a tree. Well, I was cheating as I only did it for show. 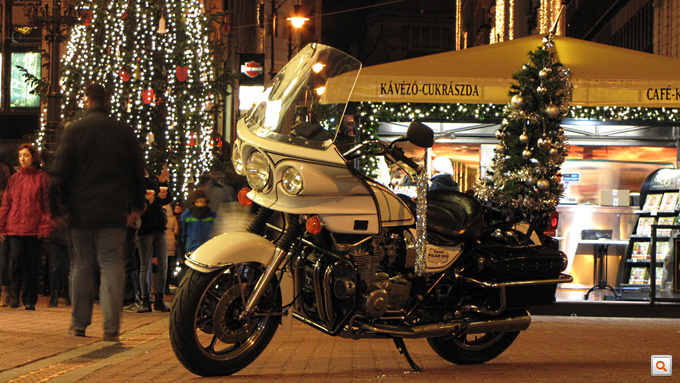 I wanted to test whether a fully decorated Christmas tree could be transported on a motorbike and the answer is yes. I rode the bike for two days with the unusual load on the radiotray. 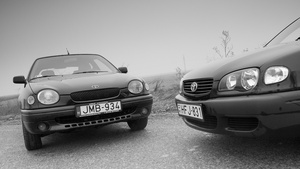 I covered around 100 kilometres, sometimes with speeds exceeding 100 km/h. 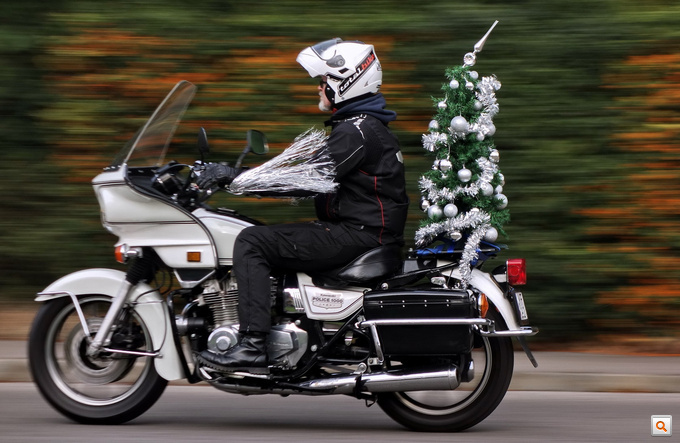 So, should you have no suitable car for transporting a Christmas tree, just use your motorbike. Enjoy our photographs and have a wonderful Christmas!